I’ve just returned from Israel. My short trip afforded me two visits to Jerusalem, and on both occasions I was reminded anew how hard it is to leave that holy city. Even getting in isn’t easy. 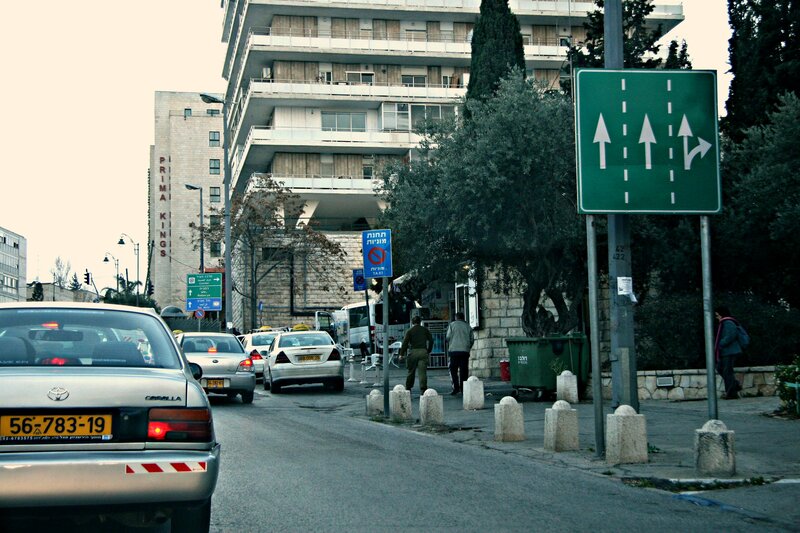 I approached by car, through the foothills that King David may have surveyed as he wondered where to build his city. Dotted with white houses among pine trees, the view seems timeless and eternal. 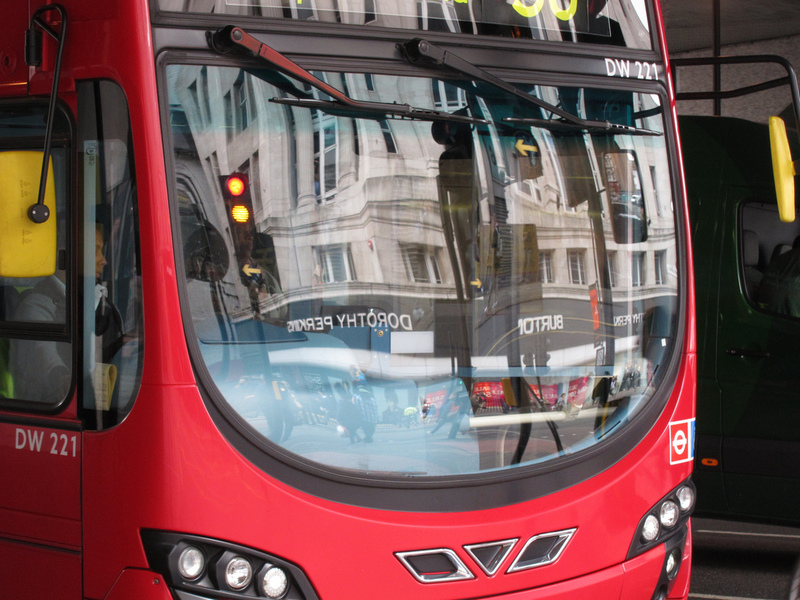 But a slew of bus stops in the right-hand lane of the main artery into the city creates a permanent condition of snarled traffic that reminds drivers that this is a modern city, too. And as cities go, it’s not a particularly easy one to navigate. Literally built in non-Euclidean space, the network of roads winds around through hills and valleys seemingly at random, and the signs — in English, Hebrew, and Arabic — seem to be strategically placed so that you can only see them once you’ve driven by, as if to announce, “yes, you missed your turn.” Don’t bother with a GPS, either. One-way streets change direction and roads are opened or closed seemingly every month. The roads come in all varieties and sizes, mirroring the history they represent. Some are named after people: Saul Tchernichovski and Shai Agnon, both famous poets; King George, of England; Nahmanides, the famous 13th century commentator; Salah ad-Din (“Saladin”), who took Jerusalem from the Crusaders in the 12th century; Bar Kokhba, who led an unsuccessful revolt against the Romans in the second century AD; and of course King David, who founded the city over 3,000 years ago. 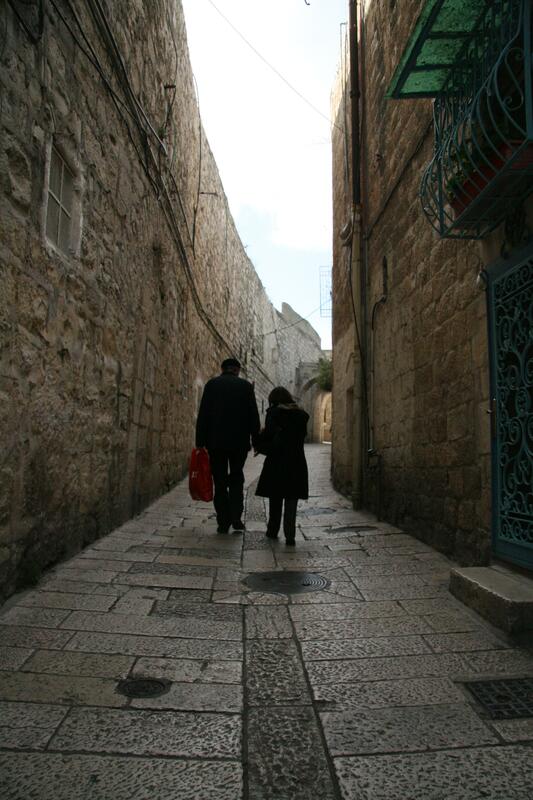 Yet the magic of New Jerusalem is dwarfed by the grandeur and splendor of the Old City. I entered, as I usually do, through the 500-year-old Jaffa Gate. Originally designed with sharp angles to keep out invading forces, a wider, straight, duplicate gate was appended next to the older one by Kaiser Wilhelm II of Germany so he could enter the city by carriage in 1898. Nearly 2,000 years earlier, in 135 AD, the Roman Emperor Hadrian built what he called Aelia Capitolina on top of Herod’s Jerusalem. Hadrian’s typically Roman planning used thoroughfares that ran east-west and north-south to section the city into quarters. 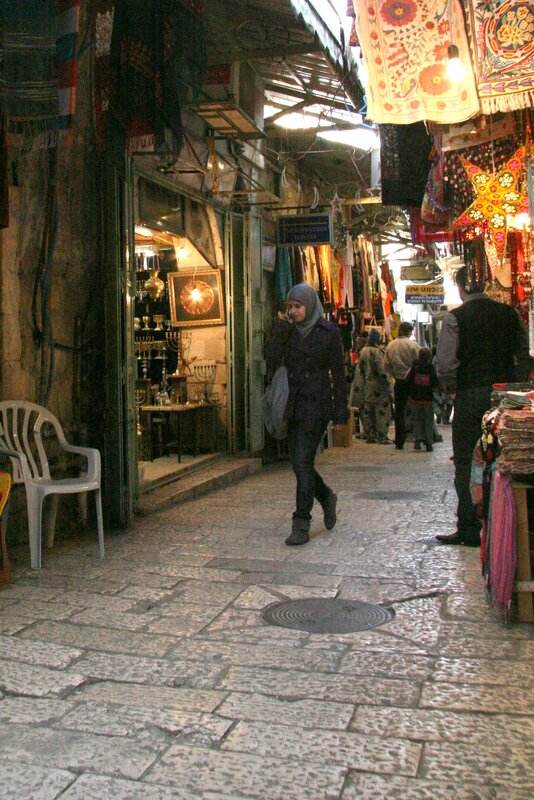 Those ancient roads, though now buried, provide the boundaries for the Jewish, Muslim, Christian, and Armenian quarters that survive to this day. The Jaffa Gate took me into the Muslim quarter. 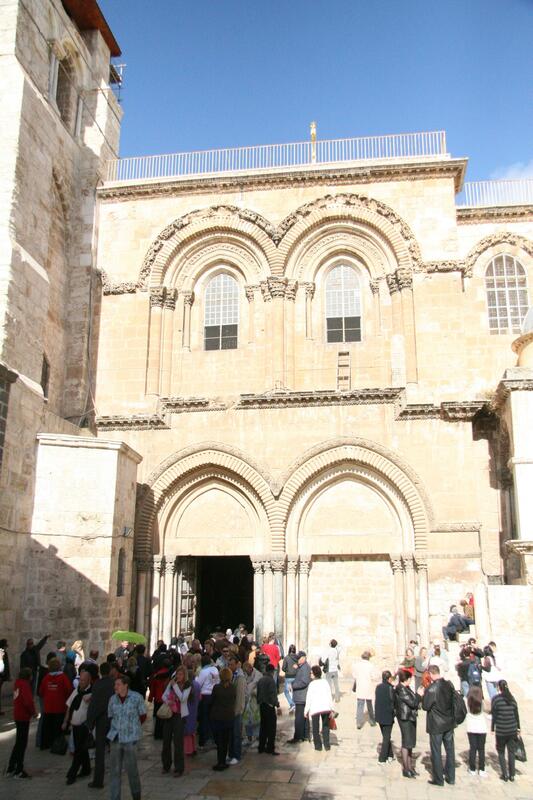 The descending stone paths led variously to the Church of the Holy Sepulchre, the Western Wall, the Al-Aqsa Mosque, and the Armenian compound. Remnants of a Herodian arch at the Temple Mount remind visitors of the Roman siege on Jerusalem; the destroyed stone is still in a pile of rubble 2,000 years later. To the north, in tunnels beyond the Western Wall, a plexiglass floor offers a glimpse into the past. The current ground level is several stories higher than the original was. The bottom part of the Western Wall is hidden by centuries of detritus. 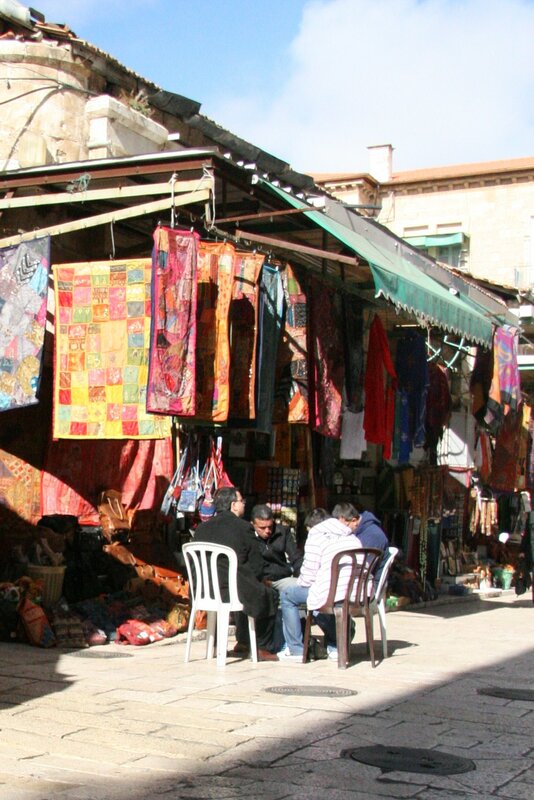 But even with so much history in one place, it’s the people that make Old Jerusalem. Immediately inside the Old City, I bought a few postcards from a shop to my left. Anywhere else in the world my experience would have been unremarkable. But here, the exchange included history and politics. 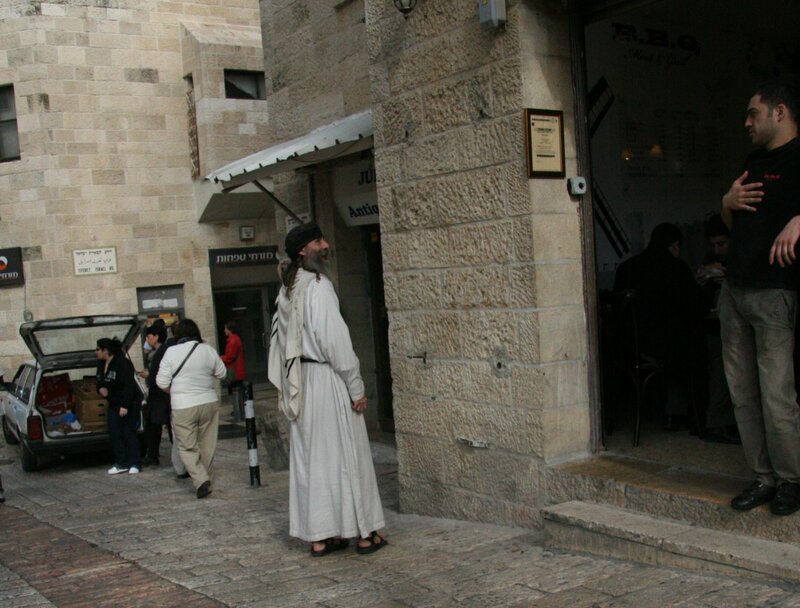 I asked the merchant if he lived in Jerusalem. 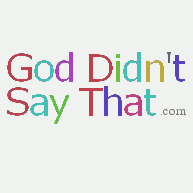 He did. “For how long has your family been here?” I asked. “Since Salah a-Din,” he told me. His family had come to Jerusalem as the Kurdish Muslim leader we call Saladin retook Jerusalem some 800 years ago. 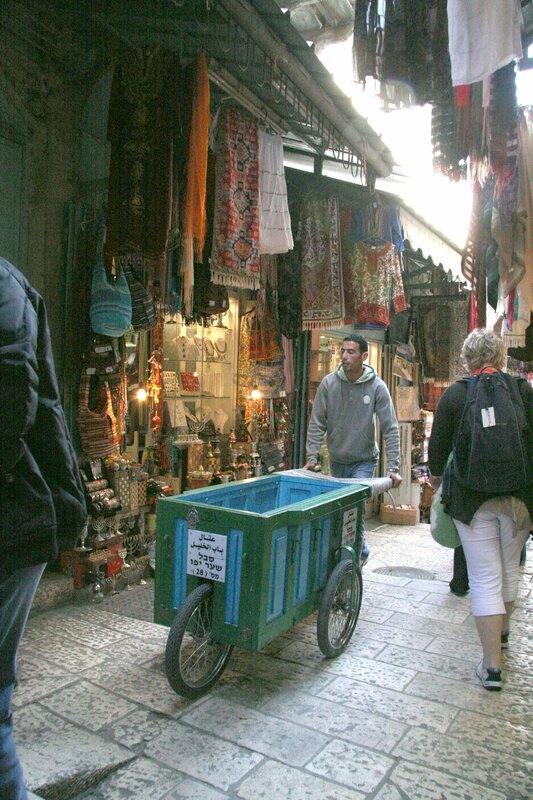 Further down the road, in the covered market known as the shuk, 6-year-old children speak three languages or more, the better to facilitate commerce. 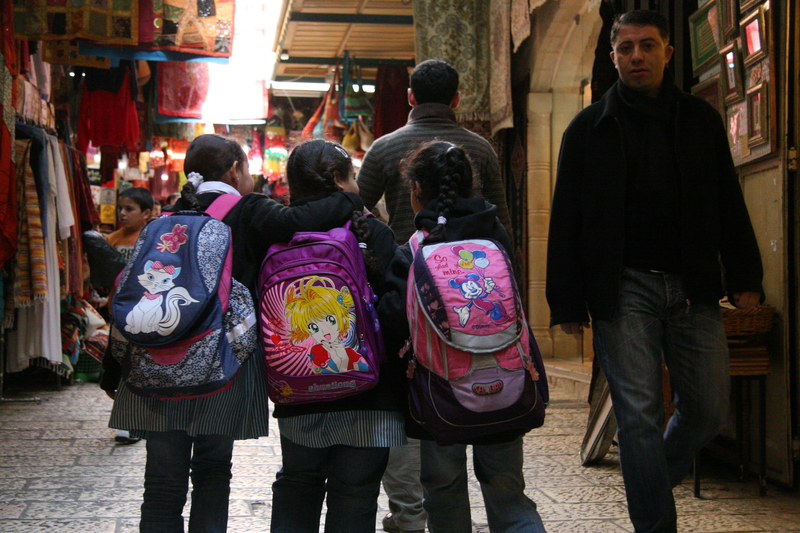 On one of the paths, three school girls link arms, running carefree through the world’s most contested real estate. Driving back to Tel Aviv requires skill and luck, because of the signage. I have one example of many immediately below. You can see a green sign indicating that only the right lane can turn right. Hidden off in the distance, barely visible at the point you have to choose a lane, is the sign that tells you where the lanes go. Guess right — here and elsewhere — and you’re on your way. 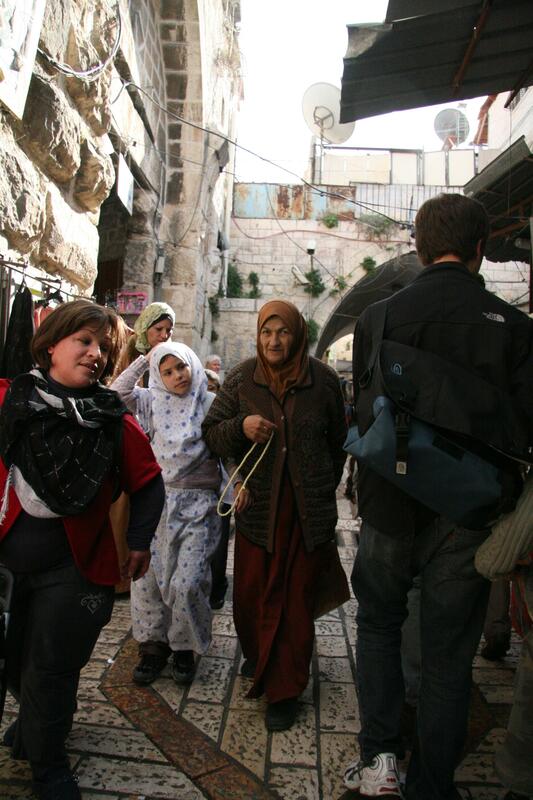 Guess wrong, and you’re stuck again in the beautiful ancient paradox that is Jerusalem. It’s almost as though the city doesn’t want you to leave.